Description: A free customizable big fix network template is provided to download and print. 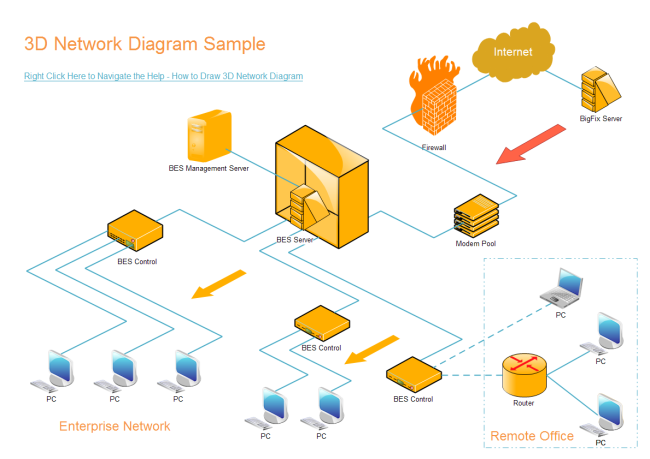 Quickly get a head-start when creating your own network diagram. The 3D shapes in it make a clearer visualization. You can change the whole diagram's style by one click to apply another theme.